"The Feeling in the Room" - I can't describe the electricity of STAPLES Center that night. There was SO MUCH HYPE! If you didn't follow basketball you would have thought Kobe died that morning. Tributes and ceremony everywhere in LA. Nights like this tend to not live up. 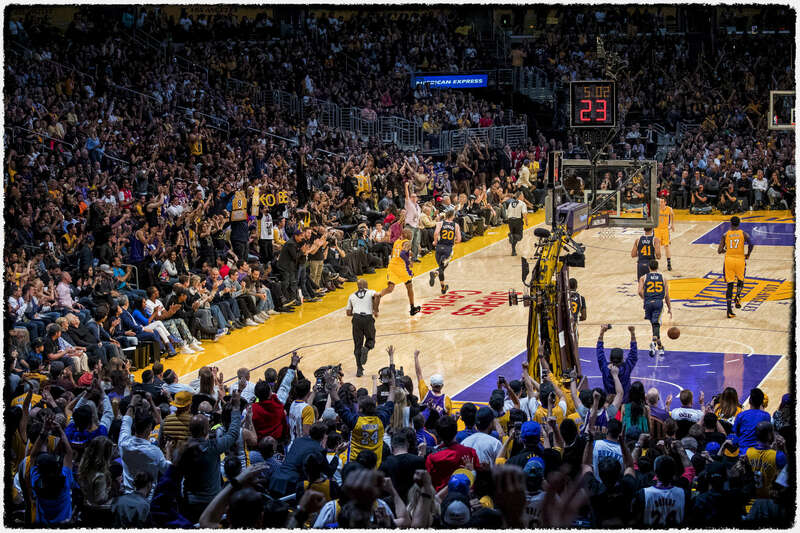 I wasn't a part of the team during the championship years and had never experienced a full Lakers Crowd. The 4th court felt like the buliding was going to POP. The amount of unity and joy was something very cool to be a part of. I didn't fall asleep until 7am the next morning.